While a student in the 1910s, he earned 12 varsity letters in three sports — track and field, football and basketball. He was a leader of the undefeated 1914 football team that outscored its opponents 358-21 and is credited for having helped popularize the forward pass. But his true prowess was on the track. His specialty was high hurdles, an event that earned him a tie for a collegiate world record. 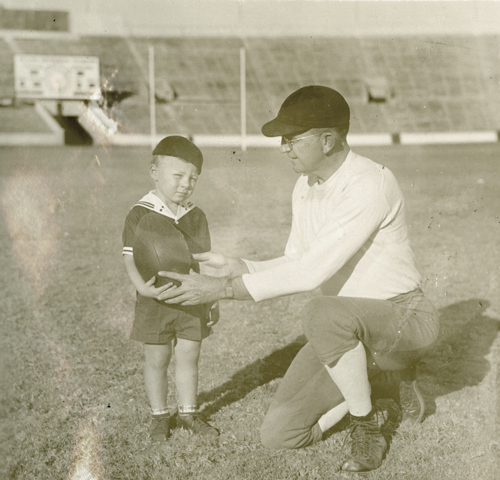 After college, he spent several years coaching high school teams, and in 1920 UT Athletic Director Theo Bellmont recruited Clyde, “Coach Littlefield,” back to the Forty Acres to coach track, football and basketball. He led the Longhorns to two Southwest Conference football championships before focusing his coaching talents solely on track and field. 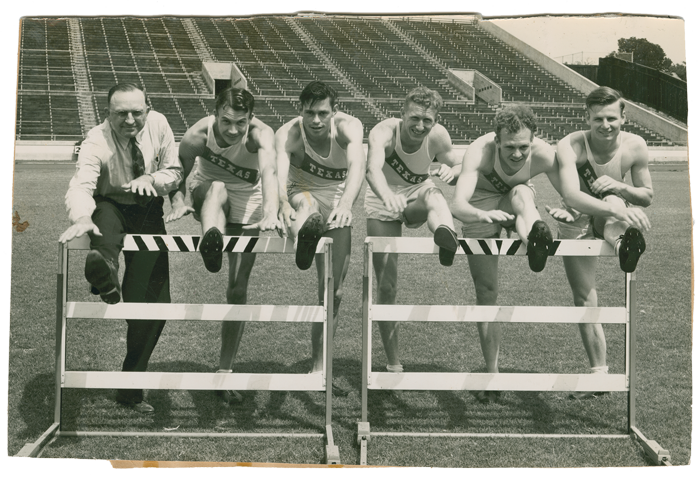 This was an era of shining moments: Coach Littlefield cofounded the Texas Relays — later named the Clyde Littlefield Texas Relays — and coached numerous SWC championship track teams, world-record-setting relay teams, and three Olympians. And he had a son. 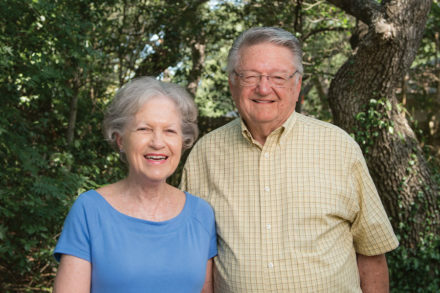 He and his wife Henrietta welcomed Clyde Rabb Littlefield, their only child, in 1931. Telegrams sent to the family congratulated the Littlefields on the birth of “a little mascot” for the team. It was an idyllic childhood despite the Great Depression. Young Clyde grew up in the Tower’s shadow and often waited for his dad in the stadium until practices wrapped up. He was a devoted Longhorn his entire life. Before his death in March 2018, he created a legacy of his own by preserving the legacies of his father and the university that shaped his life. Intrinsic to Clyde was his passion for history. 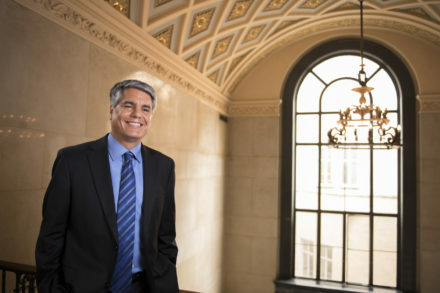 At UT he studied history and government, earning his B.A. in 1953 and an M.A. in 1958. He spent much of his career as a civilian historian for the Air Force, traveling around the world. When he returned to Austin, he embarked on a successful career in real estate investment. One of his gem properties was the historic Robinson-Rosner Building, the oldest existing structure on Congress Avenue, which he restored. In his free time, he became an expert in early UT history — the ideal calling for a Littlefield. 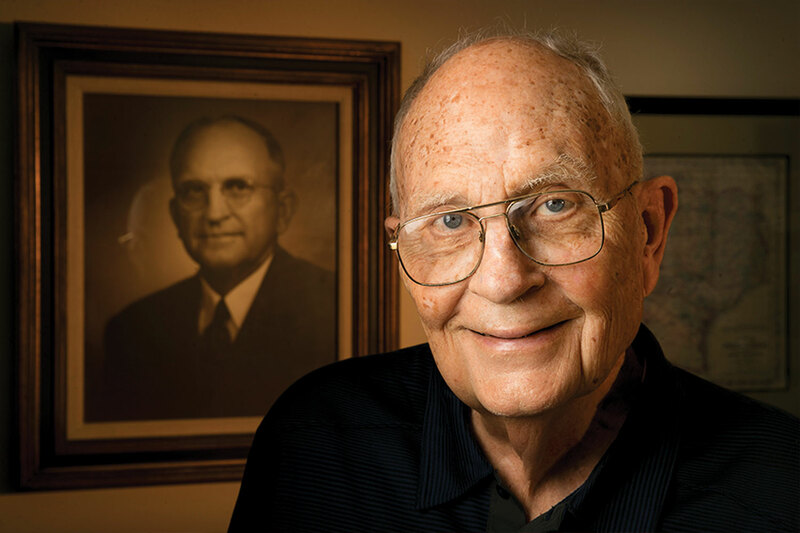 This son’s first priority was to preserve the legacy of the UT icon he knew best — his father. Clyde’s planned gift to update the track floors at the Mithoff Fieldhouse, located at Mike A. Myers Stadium, resulted in two special recognitions by Texas Athletics. 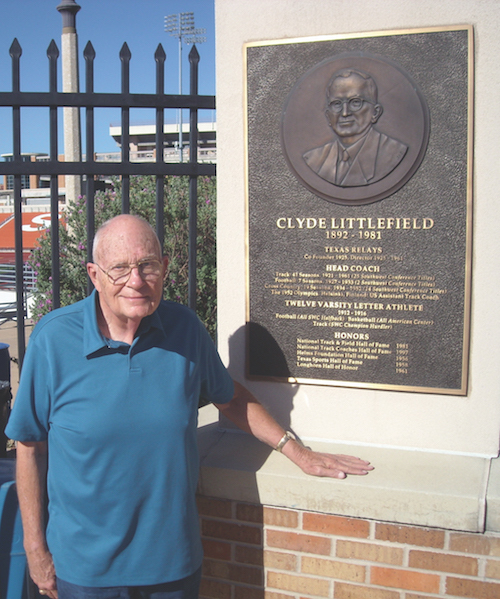 A plaque of Coach Littlefield was placed at the stadium gate and the track floors in the fieldhouse were named the Clyde Littlefield Track and Field Team Center. “Clyde was extremely proud of his father, and he loved UT more than anything,” said Jan Todd, Ph.D., director of the Stark Center for Physical Culture and Sports. 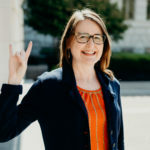 She and her late husband Terry had a standing Wednesday night dinner date with him at Hut’s Hamburgers, where the staff affectionately called him Mr. L.
“When we lost him, it was like having your walking encyclopedia of UT history go away,” added Todd. Thankfully, Clyde took generous steps to make sure UT history never goes away. 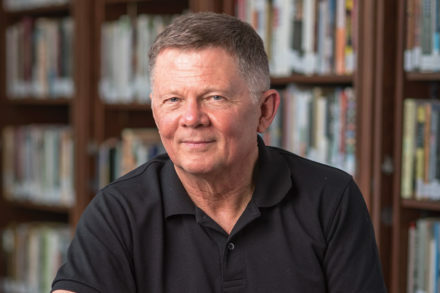 Through his estate, he established an endowed archivist position for The University of Texas Archives and Texas History Collection at the Briscoe Center for American History. Clyde was a familiar face at the Briscoe Center and served on its advisory council. plaque for his father Coach Littlefield. Adrienne Leyva, BJ ’91, is a writer and assistant director for Texas Development. She landed her first job in communications supporting Texas Exes chapters and later led communications teams at Kaiser Permanente and Seton Healthcare.